How Long to Stay in Machu Picchu Pueblo? The Sanctuary of Machu Picchu, with more than 32,000 hectares, has many natural attractions and archeological incomparable, roads, bridges, mountains, waterfalls, flora and fauna, typical of the jungle and more and more are still discovered in Machu Picchu. That said, the question is how long to stay in Machu Picchu? Well the answer to this is 1 to 4 days, depending on the availability of time, money and even your physical condition. What to see in Machu Picchu? How long does the tour of the Inca city of Machu Picchu last? The Inca Llaqta of Machu Picchu known as the City of Machu Picchu, is a stone city built in the XV century by the Incas, is in one of the most amazing mountain environments you will see in your life; It is necessary at least 5 hours to visit the Inca city of Machu Picchu and walk its streets and squares, with temples, residences, stairways, fountains and other amazing structures. Take as many pictures as you can. The guided tour usually lasts 2 to 3 hours. 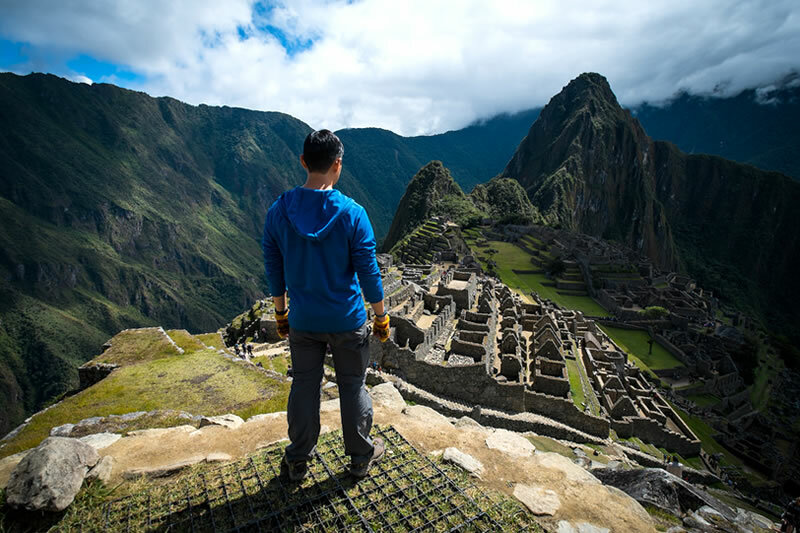 How much time will I need in Machu Picchu? One of the questions that makes every visitor to the Inca City is whether they will have enough time to visit Machu Picchu. You probably have it, if you enter Machu Picchu through the Inca Trail or if you spend the night before your visit in the village of Aguas Calientes, at the foot of the Sanctuary; However, if you arrive in Machu Picchu by train the same day of your visit, you will have much less time to visit Machu Picchu, perhaps about five hours; However, it is possible to do so at this time. We know that you would like to have time to sit down, reflect, do some photography and of course tour the entire Inca city of Machu Picchu at least 2 times . See everything in a leisurely way, but this will depend on the time available for your visit. While some people say that 5 or 6 hours are enough; Others feel they needed at least two days there. 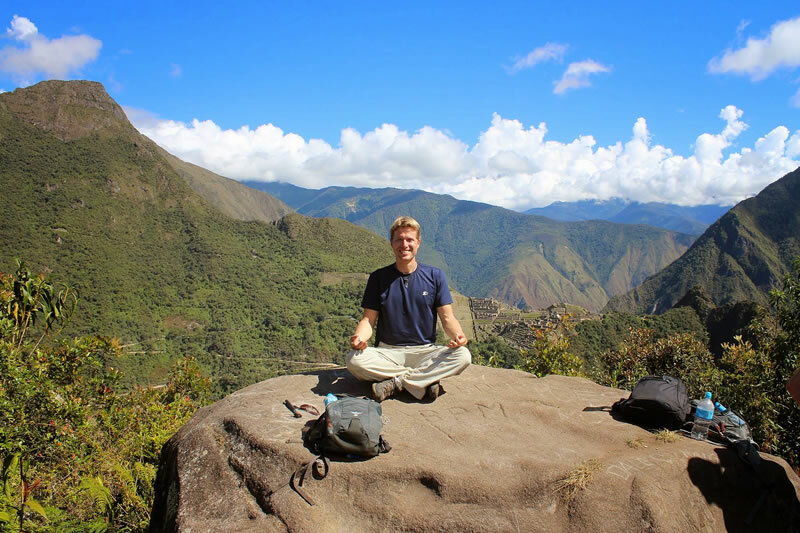 Opinions vary, but definitely everything depends on what you want to do when you arrive in Machu Picchu.
. If you only have one day to visit Machu Picchu we recommend you to board the first train from Ollantaytambo to Aguas Calientes; Do not know how to get to Ollantaytambo?, then, enter here. Once in Ollantaytambo in the Sacred Valley of the Incas, you must board the train that takes you to Aguas Calientes; The “Expedition” train from PeruRail departs from Ollantaytambo around 5am. If you manage to book tickets for this train, you will arrive in Aguas Calientes around 7am, so you will have more time for your visit. The later you depart your train from Ollantaytambo to Machu Picchu, the less time you will have for your visit. Please note that the bus from Aguas Calientes to Machu Picchu will take about 30 minutes. Also keep in mind that you have to be 30 minutes before in the train station for your return to Ollantaytambo and then to Cusco. Check the time of arrival and return of the train and do not forget to include the time it will take the buses to leave it at the entrance door and return it to the village; The optimum would be to have a space of 6 hours, this way you will have enough time to visit Machu Picchu without problems; In addition, you have the option to visit Huayna Picchu Mountain or Machu Picchu Mountain, it is about two different walks, both departing from the Inca city, but you will need the Machu Picchu tickets that include the mountains. There are 400 tickets available for Huayna Picchu Mountain and 800 for Machu Picchu Mountain. Also consider the mountain entrance schedule. People who have two days usually decide to stay to sleep in Aguas Calientes (Machu Picchu Pueblo); This city is in the final station of the trains to Machu Picchu, is located on the banks of the Vilcanota river. This small cosmopolitan city is completely dedicated to tourism, you can find hotels, restaurants and an assorted artisan market. These are some of the things that you can add to your visit to Machu Picchu, to have 2 days available; The people of Aguas Calientes will provide you with many things to do. You will have to leave Aguas Calientes, it lasts 2 to 3 hours, you will walk through a jungle-like landscape, watching different types of orchids, tea plantations, bananas, pineapples, etc. You will appreciate variety of moths, birds and insects. In the same place, you will have the opportunity to see a spectacular waterfall. It is recommended to be careful with the walk on the mountain Putucusi, as it is considered high risk. Do not do it during rainy season (November to March). It is climbed by very steep stairs that require special dexterity. The view from the top of this mountain is unique, you will see the mountain Huayna Picchu, Machu Picchu mountain and of course, the Inca City as a fair reward for the effort made. 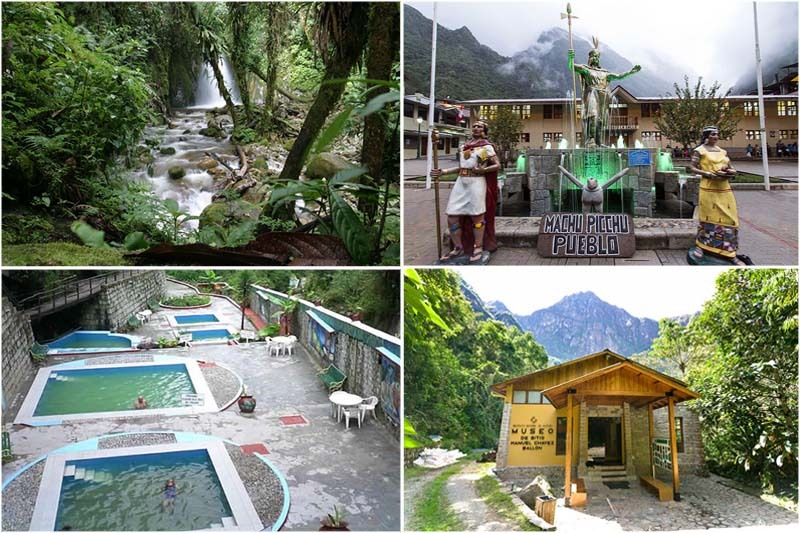 There are some mineral-medicinal thermal baths just 10 minutes from the town of Aguas Calientes, are recommended after a beautiful day of trekking in Machu Picchu. Visit to the orchid garden of Hotel Inka Terra, lasts 40 minutes, with prior authorization from the administration. Visit to the Manuel Chávez Ballón site museum, lasts 1 hour. Model Museum, lasts 40 minutes. Visit to the artisan market of Machu Picchu Pueblo. If you have 4 days available in Machu Picchu, we definitely recommend you to enter Machu Picchu by the Inca Trail (4 days / 3 nights); However, to enter Machu Picchu by the Inca Trail, you must reserve the income with 6 months in advance. The most recommended time to make the Inca Trail to Machu Picchu is during the dry season (April to October). If you want to enter Machu Picchu by the Inca Trail, contact us at info@boletomachupicchu.com; But we can also help you with your itinerary, if you only have a day or two in Machu Picchu. Remember that you will not be able to enter Machu Picchu by the Inca Trail in February, but you can choose any other month, but as we said before, it is advisable to do the Inca Trail in the dry season.